A few days ago, I posted David Dobbs' excellent article (Die, selfish gene, die) on the need for Richard Dawkins' selfish gene theory to go the way of the dinosaurs. As noted by Ed Yong in his weekly science link-fest, I've Got Your Missing Links Right Here, the perspective Dobbs offered has been, uh, a wee bit controversial. 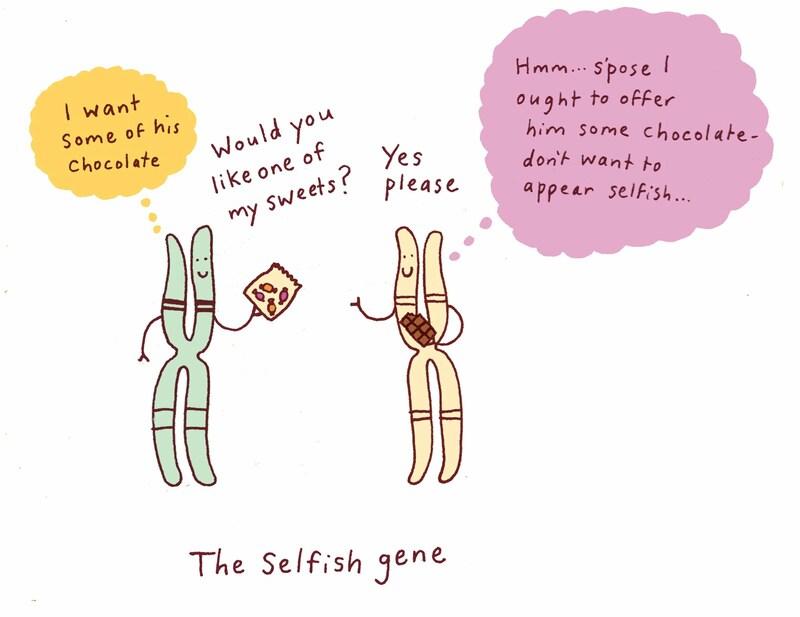 David Dobbs’ beautifully written but controversial take on the selfish gene metaphor. Reactions have been fierce. PZ Myers liked it and expanded on some of the ideas, Jerry Coyne loathed it and deconstructed it in two posts, Larry Moran agreed with Coyne’s criticism but has his own gripes with the metaphor, Dawkins defends himself, and Dobbs defends himself (twice). All of this, I think, is enlightening and well worth reading. These responses are certainly worth a little time to read . . . this may be a pivotal moment in evolutionary biology.